Hydra Roller is to stimulate collagen production and to increase the absorption of skincare products. 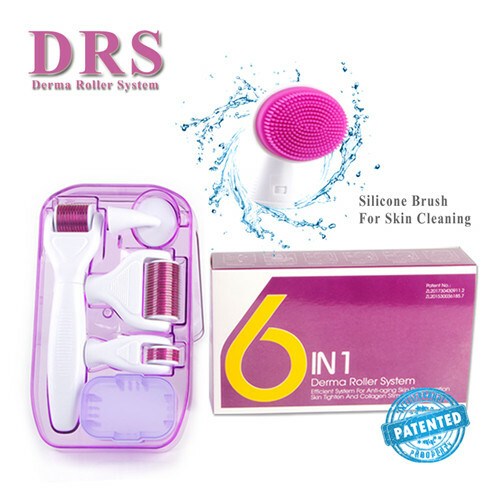 But traditional derma roller it's not easy to operation, as you have to use another hand or one assistant to help you get essence liquid on face. This new hydra roller with bottle successful combine micro needle with essence liquid and import it automatically. Do not need assistant, do not need go to clinic to do hydra roller treatment, you can do it at home from now on! At-home microneedle have much smaller needles than the tools in the dermatologist office, so they aren't supposed to hurt. Ekai © All Rights Reserved.